Imagine the worst. Your home gets broken into. Your valuables and family are at risk. This DIY security powerhouse stands guard over your home 24/7 and alerts you in case the worst should happen. 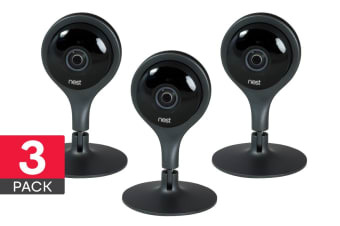 The Nest Cam Indoor Security Camera is your very own guardian, keeping your home safe and secure at all times – ready to send you alerts when you’re away from home for total peace of mind. With crystal clear full HD recording capabilities and built-in microphone, you will be able to capture footage that can then be shown to the police to help them identify intruders in the case of break ins. Combined with powerful speakers that can be used to scare away trespassers, the Nest Cam Indoor Security Camera is the ultimate security solution. You get super-clear 1080p HD footage even in the darkest hours of the night thanks to advanced night vision. Gone are the days of expensive security systems which need a technician’s help to install. 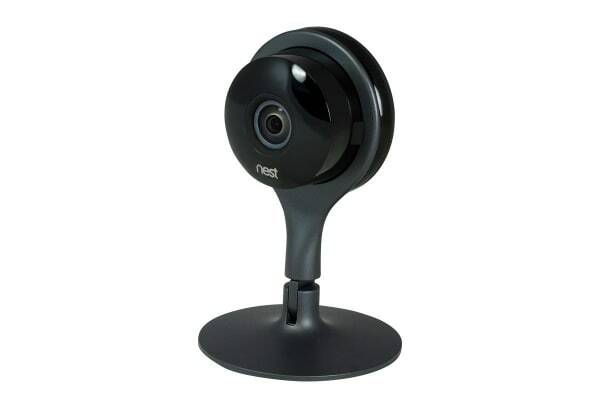 With the Nest Cam Indoor Security Camera, you just plug in, setup via the app and go. The magnetic stand lets you simply stick it on something metal, or you can mount it to the wall, use a tripod or just leave it freestanding. 3 x Australian/New Zealand compliant power adapter – this is the main power supply.